the classic sports car - a rare car indeed, but still around about 70 years on. An oft-updated magazine section with details of current happenings in the Jupiter world, and some links (at the bottom of the page) to other sites. A page given over to a few famous people who have owned Jupiters. A little bit of Jowett Genealogy and family lore. Contact Edmund Nankivell to exchange information on the Jupiter! 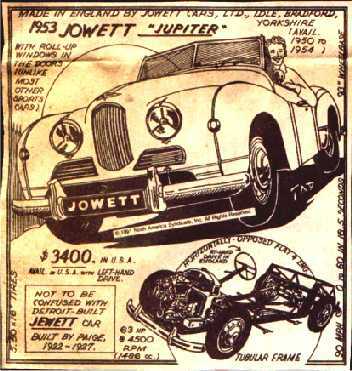 A page of quirky photos of Jowett Jupiters. A page of obscure but fascinating weblinks updated from time to time. First come I: my name is Jowett. As the gods did bestow it. This lawn, none will mow it. If it is knowledge, I know it. Yes, Benjamin Jowett (1817 - 1893) was a famous English theologian and Greek scholar whose translations of Plato (c.427 - 347bc) are still read today. After being Regius Professor, he became Master of Balliol College, Oxford, from 1870 to 1893. He also translated Thucydides and Aristotle; he took 30 years over the translation Plato's Republic. No wonder it is still the standard English-language text. It is unlikely that he built or drove motor cars. There is of course the Jowett Library at Balliol with the extensive collection of BJ's papers. 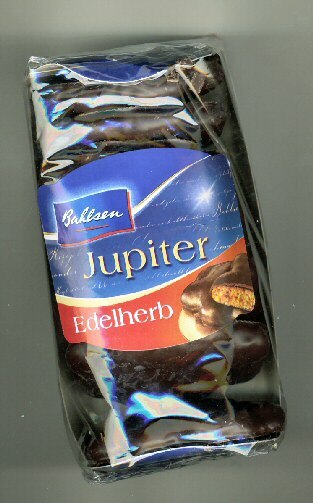 ...and Jupiter is also a planet, with numerous websites - but no motor cars so far as is known. No doubt NASA has plans for driving around on one or more of Jupiter's satellites, though.